First day of classes! Let's go to school together. Hollywood History 101? Anyway! 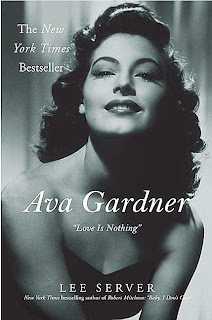 They just covered Ava Gardner and a couple of things need to be said. First, the Lee Server biography is amazing. Everybody should read it. Second, it will destroy you. So be warned and be emotionally ready. You can buy it from us here.